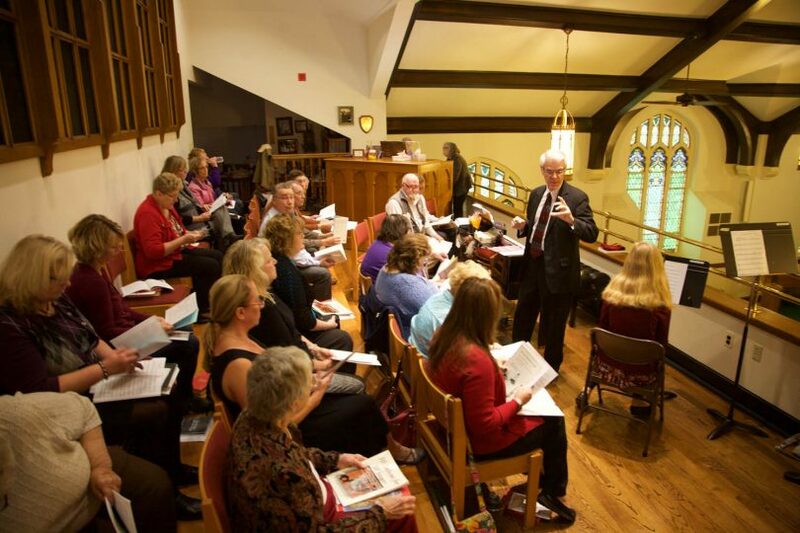 Sunday, October 21, 2018 dawned in Dover, Ohio with an air of expectation—it was the day of the Moravian Mission Summit at the First Moravian Church. Members and friends, young and old, were tasked to come and learn more about the history of missions in the Moravian Church, the role that missionaries play today, and the essential ways that members at home serve the local community and support Moravian brothers and sisters working in the field. Pastor John Wallace and church elders provided the call to action that facilitated the planning and implementation of the Moravian Mission Summit. The purpose of the day was simple and succinct: a day of learning and understanding of our role as mission-minded Moravians for Jesus Christ. 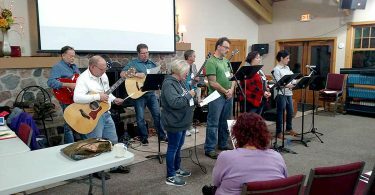 Summit leadership came from within the local church, the Tuscarawas Valley and the expertise of leaders of the Northern Moravian Province. The leadership team worked diligently to provide opportunities to learn more about local missions supported by the local church, explore emerging missions within our community and better understand the work of missionaries abroad. 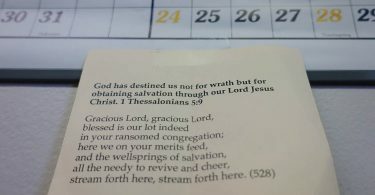 The day was structured to provide times for worship and fellowship, times for learning and service as well as opportunities for refreshment and sustenance. Participants were reminded that there are many ways to serve and encouraged to challenge themselves to serve. Bishop Doug Kleintop reminded us that we all have gifts to share and challenged us to think outside the box. Confirmation Class members served as dieners for the Lovefeast that began the day. Worshipers were graced by special music chosen by Brother G. Randall Gibbs and introduced to the music ministry of Pastor Chris Mulpas. Upon conclusion of the Lovefeast, members were directed to attend one of several workshops during the “Mission Outpost” time in the morning. Workshops included overviews of local missions (Sole Purpose – Putting Shoes on Kids’ Feet and Harbor House, the local domestic violence shelter). We also experienced teachings that explored the purpose of our existence as we strive to be faithful to God’s call in our lives. 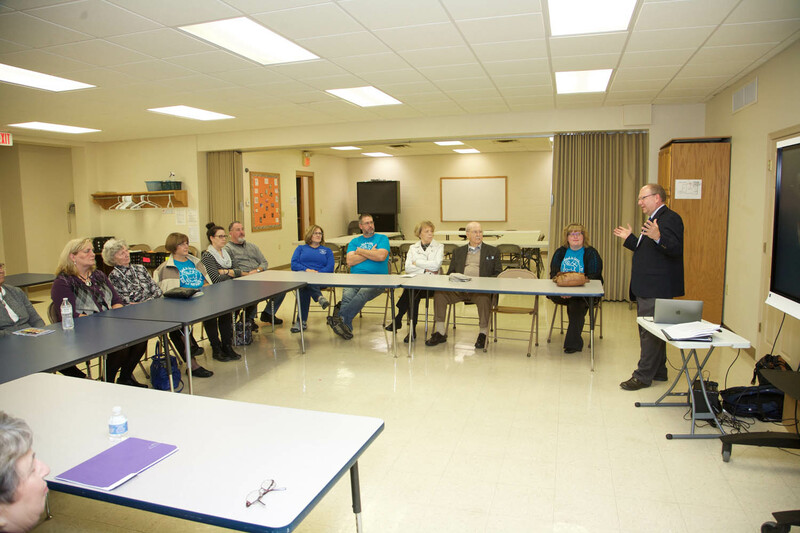 Local Moravians joined Bishop Chris Giesler, director of mission engagement, and Bishop Sam Gray, director of intercultural ministries, as workshop leaders. Also during this time, the children of the church joined Christian Education Director Kimberly Yackey as she created a Honduran Sunday School experience. Dover First is blessed and proud to call Dr. Scott and Lorrigan Booth members and support their ongoing work at Clinica Evangelica Morava in Ahuas, Honduras. Scott and Lorrigan prepared a special noon mission meal that illustrated the food and culture of the people to whom they serve and minister. Photos of the people of Ahuas were placed at each place setting. Lorrigan asked folks to take the photos home and place them on their refrigerators so that when they opened the refrigerator door, they would be prompted to say a prayer for the people of Ahuas. The afternoon Mission Outpost time explored stories from the Ray of Hope Orphanage in Africa, Dover First’s adopted mission; introduced members to the local ministry Off the Wall, that trains disciples committed to follow Jesus Christ; and provided a musical journey around the world led by Sister Gwyneth Michel of the Moravian Music Foundation and Bishop Sam Gray. Edith Santee facilitated a hands-on mission moment where participants wrote notes of grace and prepared care packages for some of our missionaries in the field. As another member recalled, “The Summit provided an understanding to realize our small area (of Ohio) is not the hub of the Moravian world.” There is much more to the Moravian experience than the landscape we traverse daily. The Moravian Mission Summit closed with a Missionary Prayer Service. 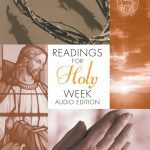 Bishop Kleintop asked participants to share “a-ha” moments from the day that ranged from appreciation of the universal beauty of faith expressed via music to sincere prayers of gratitude and thanksgiving for quick thinking pastors’ wives who can fix broken zippers. Participants of the Moravian Mission Summit left the church that afternoon proud of the missions that they support, but more importantly, empowered to be a missionary both locally and globally. Fran Gerbig is a member of the First Moravian Church of Dover, Ohio.